2018 brings an exceptional new level of service, dining and facilities across all Ikos Resorts properties, together with the opening of our latest extraordinary addition – Ikos Dassia in Corfu. Dining at Ikos Resorts is always an outstanding experience and in 2018 guests will continue to enjoy superb food using only the finest ingredients and produce. At the fabulous Ouzo and Provence restaurants, guests will now have access to an à la carte option in addition to the extensive buffet lunch available. Deluxe guests will enjoy an even more superior offering in 2018 with our Deluxe Butler service all set to cater to their every whim. The five star treatment extends to the beach experience with every guest receiving a stylish Ikos beach bag as well as to the Deluxe Bars, with the introduction of a comprehensive choice of premium spirits. 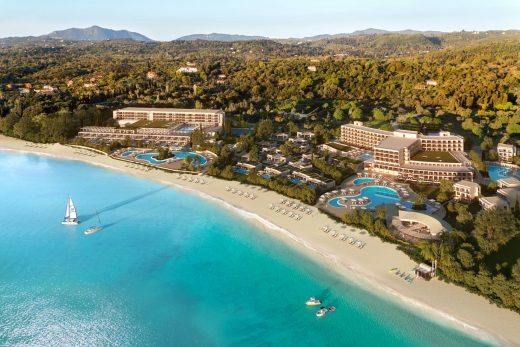 The first top luxury all-inclusive hotel arrives on the gorgeous island of Corfu in May 2018. Combining contemporary Mediterranean style with traditional Greek hospitality, the luxurious Ikos Dassia covers an impressive 89 acres along the magnificent bay of Dassia on the Ionian sea. Guests can look forward to exceptional quality, choice and facilities with no hidden costs, taking the all-inclusive experience to unparalleled new heights. 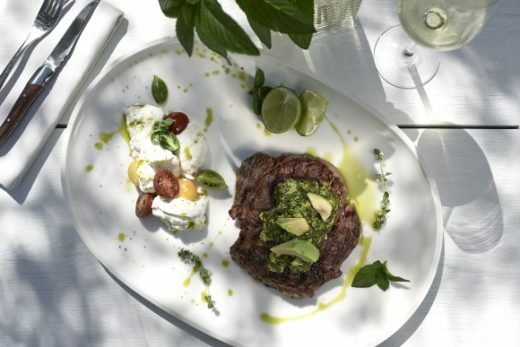 Ikos Dassia combines stand-out cuisine with vibrant bars; six superb restaurants offer à la carte dining from around the world together with 10 bars, while the renowned Dine Out experience introduces guests to some of the best local restaurants across Corfu. 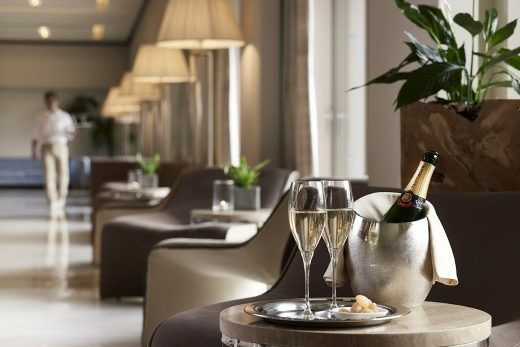 There’s an unrivalled level of facilities for adults and children including seven heated pools, two pampering Anne Semonin spas and floodlit tennis courts. While an outstanding range of facilities, from organised activities for kids to exclusive adult-only areas, promise a truly memorable stay. From luxury doubles to 3-bedroom beachfront villas, this elegant resort delivers a choice of 409 beautifully appointed rooms, suites and villas. This superb collection of accommodation offers guests a choice of private balconies, gardens and individual pools ensuring a luxurious and relaxing experience.